If you like pubg and you are pro and want some on the PUBG. if you are pro the try this drop zones to test your skills in PUBG this top ten areas are full of action and large number of player are landing on this area. Let’s see top ten PUBG drop zone (arrival area) Erangle edition. If line is between this three areas then the best choices is to land into Prison, Shelter, Mansion. 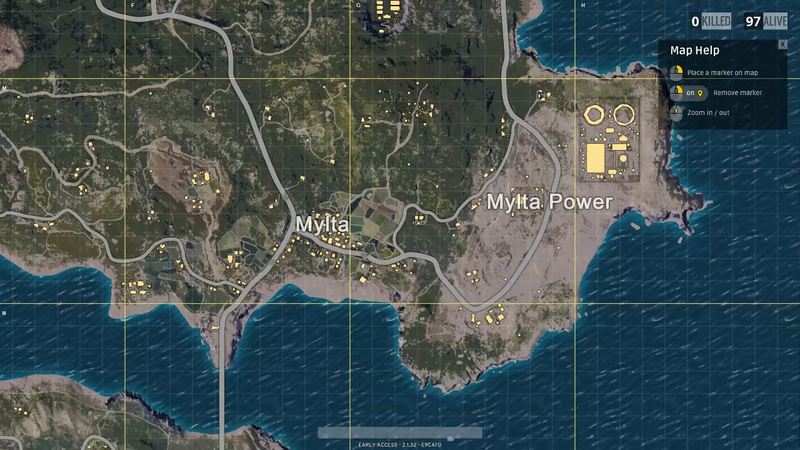 Basically found on the eastern side of the Erangle Map this area is famous some number where various people land on this area thinking no one land there for the safety basis but you can find some action on this because this area is near to Mylta and Mylta Power. Where player used to fill up the supplies and go Mylta Power. This area is also useful filling up the supplies. The area is also famous for some sniper because there is a mountain on the south side of the prison. Mylta and Mylta Power can been found on the southeast side of the Erangle Map where Mylta is famous for close range battle the Mylta Power is famous for the sniping there are various sniping spots in ground and above the ground where you can practice Sniping on this areas. The Mylta and Mylta Power is near to Lipovka, Prison, Shelter, Farm and Novorepnoye Where Mylta is near to Shelter and Farm and Mylta Power is near to Lipovka and Prison. Player use to fill up the supplies from Mylta and go to Mylta Power for some action battle. Only areas located on the northern side of Erangle Map. where severny is famous very few house area where any player can search to all houses under 03:00 minutes. Due to few houses there is few chance to survive in this area when lots of players land down in these area Where shooting range is famous for having no houses and building which gives open area for you to shoot at each other. The Severny and Shooting Range is near to Yasnaya Polyana on the east and near Georgopol. Largest area in the entitle Erangle Map the Sosnovka Military Base is full of big Buildings and Small Houses where you can found all kinds of Players like around rounders and snipers where lots of player land there if the plane line is in the south of erangle map. The Sosnovka Military Base can be on the south side of the Erangle Map on the central of the small island located on the central. 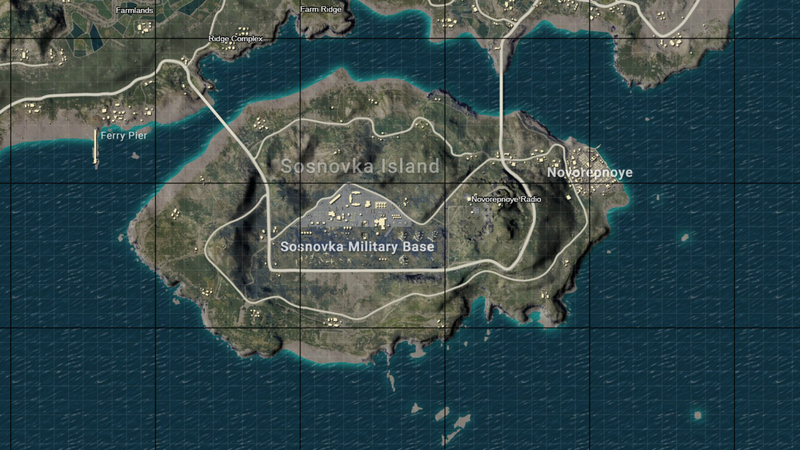 The Sosnovka Military Base is near to Farm, Mylta and Novorepnoye on the east side of the map and near Ferry Pier on the west side of the Map where there are two bridge connecting to the island from both east and west side of the map. Rozhok is located on the northern central of the map it is only area that is near the central river. Today Rozhok is now becoming popular where lots player land on this area. 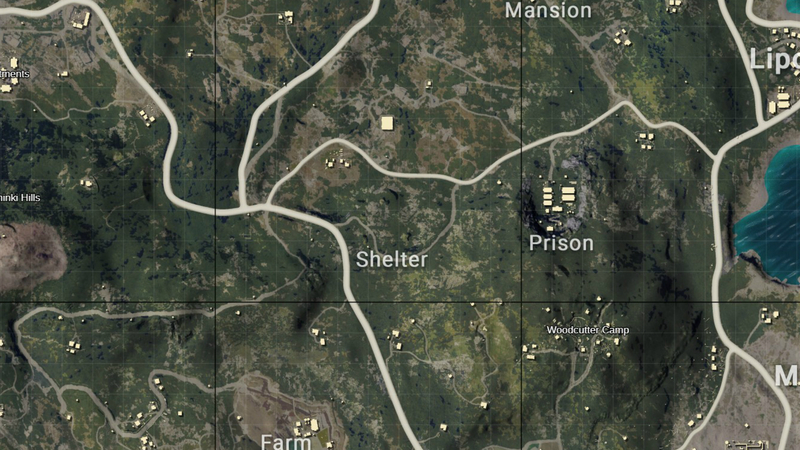 You can found good guns on this area and a car on the both side of the map this area is fill with lots of players trying to kill each other. It is one of the favorite spots for the average players. Rozhok is near to school on the south side of the map and near to Yasnaya Polyana on the east side of the map. Before PUBG become a hits the School was only area no-one land but now school is the one of the famous places to land. Where you can found all kinds of weapon (If search properly) this is the area where you can die quickly if not landed on the proper area of the school so you need to practice a lots in order to survive the area is one of the favorites for many pro players and various pro players can be found there. The is located on the central of the map. 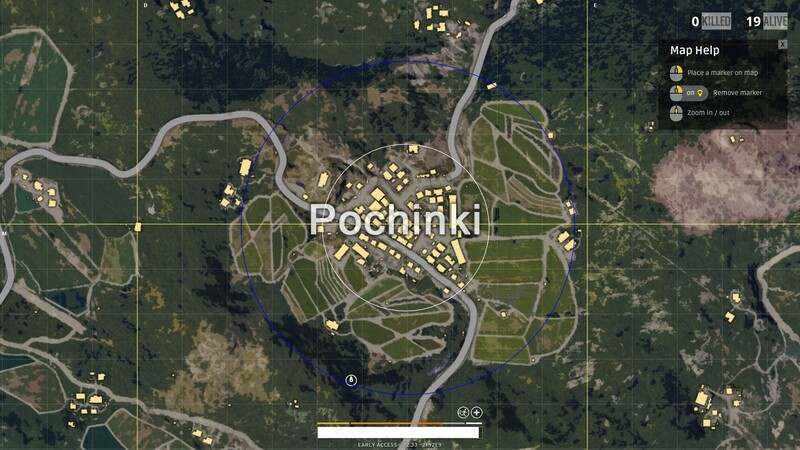 Where school is near to Rozhok on the north side of the Map and near to Pochinki on the south side of the map. It is one of the favorite spots many pro player the Yasnaya Polyana is famous for 2 stories of houses and high building where you can lots of player on the top of the building shooting each other. The area is famous for the highest loot (including sniper rifles). This area is famous for quick roundup where players use to come for filling up the supplies but due to large number of player you lots of enemies to kill. The Yasnaya Polyana is located on north east side of the map at the end of the map. It is not near to any of the area. 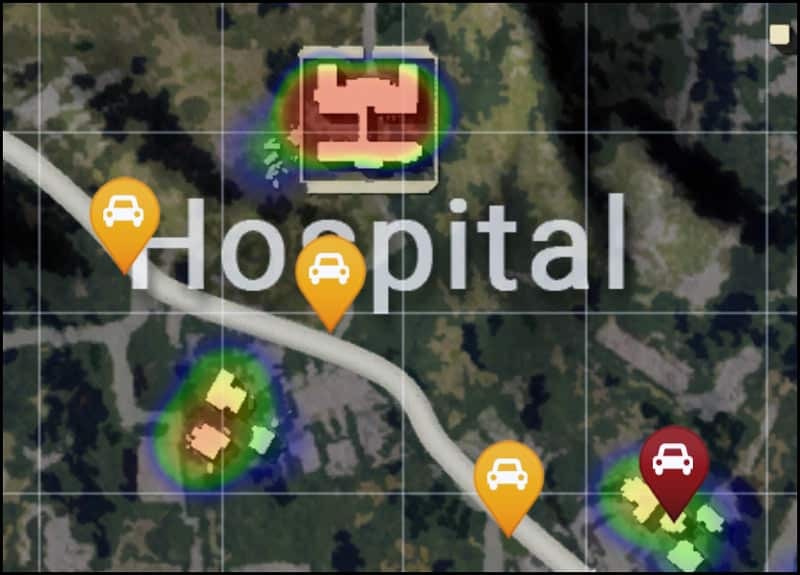 Hospital is also an intense for shooting due to the two buildings connected to each other the hospital is very good for good guns and shooting supplies due to it is nearest to the Georgopol player use to come to hospital to fill up the supplies where players used to fights for good supplies. The hospital is located on the Northern side of the map. Where Georgopol is the nearest on the north side. It is area with the most number of Houses and buildings the area is very famous for youtubers on let’s play channel to feature Georgopol as a favorite place for enjoyable gaming. 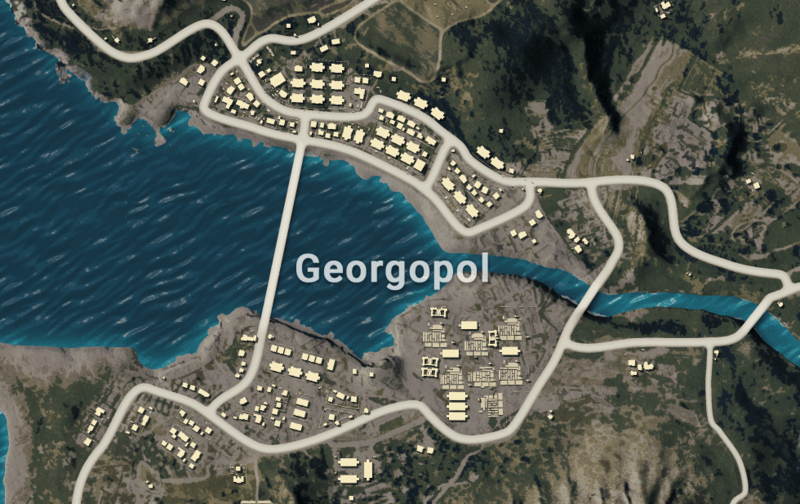 Where most players are on the south side of the Georgopol of the map. Where some players are found on the bridge (especially pro players). The Georgopol is located on the north west side of the Map. where Hospital is the nearest which is on the south side of the map. It is the most famous area of the Erangel Map. the pochinki is most famous for all types of players where players comes to have some kills due to small area which has lots houses near by near and due to very good supplies the pochiki is best area for action pact battle. The pochinki is located on south west central side of the map where school is the nearest to them all.